staff from quality control, purchasing, and other relevant areas. Functional Management—The standard departments of the organization that represent individual disciplines such as engineering, marketing, purchasing, and so on. Holistic—The whole viewed at one time rather than each piece individually. Management by Objectives (MBO)—A management approach popular during the 1960s that encouraged managers to give their subordinates more freedom in determining how to achieve task objectives. Matrix Organization—A method of organizing that maintains both functional supervisors as well as project supervisors. A strong matrix operates closer to a pure project organization while a weak matrix operates more like a functional organization. Mixed Organization—This approach includes both functions (disciplines) and projects in its hierarchy. Parent Organization—The firm or organization within which the project is being conducted. Program Manager—This person is typically responsible for a number of related projects, each with its own project manager. Projectitis—A social phenomenon, inappropriately intense loyalty to the project. Subcontract—Subletting tasks out to smaller contractors. Suboptimization—The optimization of a subelement of a system, perhaps to the detriment of the overall system. War Room—A project office where the latest detail on project progress is available. Work Breakdown Structure—A basic project document that describes all the work that must be done to complete the project and forms the basis for costing, scheduling, and work responsibility (see Chapter 5). 1. What is a program manager? How does this job differ from that of a project manager? 2. Identify the advantages and disadvantages of the matrix form of organization. 3. Name the four basic types of project organization and list at least one characteristic, advantage, and disadvantage of each. 4. Give some major guidelines for choosing an organizational form for a project. Discuss some of the differences between managing professionals and managing other workers or team members. 2. Human and political factors loom large in the success of projects. Given the general lack of coverage of this subject in engineering and science education, how might a PM gain the ability to deal with these issues? 5. Why is the project office so important? 6. Identify three ways of dealing with a conflict associated with projects. Does dealing with conflict always need to be a zero-sum game? 7. What are some advantages and disadvantages of housing a project in a functional form? 8. What are the project engineer's duties? 9. What are the major sources of conflict throughout the life cycle? not used on the project. Name several ways that a project manager might avoid this problem. 4. Discuss the effects of the various organizational forms on coordination and interaction, both within the project team and between the team and the rest of the firm. 5. Can you think of any advantages other than those listed in the text associated with using MBO? Disadvantages? copy machine? How would you organize if the product was simpler, such as a new disk drive? 7. How should the following projects be organized? 8. What do you think may be the purpose of a work breakdown structure? How might it aid the PM in organizing the project? 9. Why do you think the average total conflict increases during the "early program phase" (Figure 4-8)? 10. What should the role of the project manager be in conflict management? 11. Is it ethical to employ participative management solely as a way to motivate employees? Rick Shaw has been tapped to be a project manager for the third time this year. Although he enjoys the challenges and opportunity for personal development afforded to him as a project manager, he dreads the interpersonal problems associated with the position. Sometimes he feels like a glorified baby-sitter handing out assignments, checking on progress, and making sure everyone is doing his or her fair share. Recently Rick read an article that recommended using MBO as an aid to the project manager in supervising and controlling team members. Rick thought this was a useful idea and decided to try it on his next project. The project in question involved making a decision on whether to close one of the company's regional distribution centers. Rick had once been the manager of the distribution services department, so he felt very comfortable about his ability to lead the team and resolve this problem. He defined the objective of the project and detailed all the major tasks involved, as well as most of the subtasks. By the time the first meeting of the project team took place Rick felt more secure about the control and direction of the project than he had at the beginning of any of his previous projects. He had specifically defined objectives and tasks for each team member and had assigned completion dates for each task. He had even made up individual "contracts" for each team member to sign as an indication of their commitment to completion of the assigned tasks per schedule dates. The meeting went very smoothly, with almost no comments from team members. Everyone picked up a copy of his or her "contract" and went off to work on the project. Rick was ecstatic about the success of this , new approach. Hydrobuck is a medium-sized producer of gasoline-powered outboard motors. In the past it has successfully manufactured and marketed motors in the 3- to 40-horsepower range. Executives at Hydrobuck are now interested in larger motors and would eventually like to produce motors in the 50- to 150-horsepower range. The internal workings of the large motors are quite similar to those of the smaller motors. However, large, high-performance outboard motors require power trim. Power trim is simply a hydraulic system that serves to tilt the outboard motor up or down on the boat transom. Hydrobuck cannot successfully market the larger outboard motors without designing a power trim system to complement the motor. The company is financially secure and is the leading producer of small outboard motors. Management has decided that the following objectives need to be met within the next two years-. 1. Design a quality power trim system. 2. Design and build the equipment to produce such a system efficiently. 3. Develop the operations needed to install the system on the outboard motor. The technology, facilities, and marketing skills necessary to produce and sell the large motors already exist within the company. Questions: What alternative types of project organization would suit the development of the power trim system? Which would be best? Discuss your reasons for selecting this type of organization. Assume that you have been placed in charge of a project to educate the clerical staff on the advantages a microcomputer might offer them in their work. Assume that the organization is a large one and one you are familiar with, such as your own firm or school. Follow the procedure for selecting an organizational project form described in the chapter. What special characteristics, constraints, or prob lems did you identify that a different project, or organization, might not have had? Were there any that seemed independent of the project? of the organization? What project structure pros and cons did you find to be relevant in this exercise? Would they probably be relevant for any project or organization? Was the procedure effective? In your estimation, were there any unnecessary steps? Were there any missing steps? 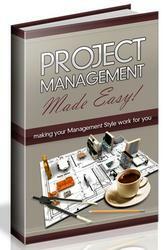 In this exercise, you will have to determine how to organize the project team. A very important consideration will be the degree of independence versus interdependence the organizational structure provides. 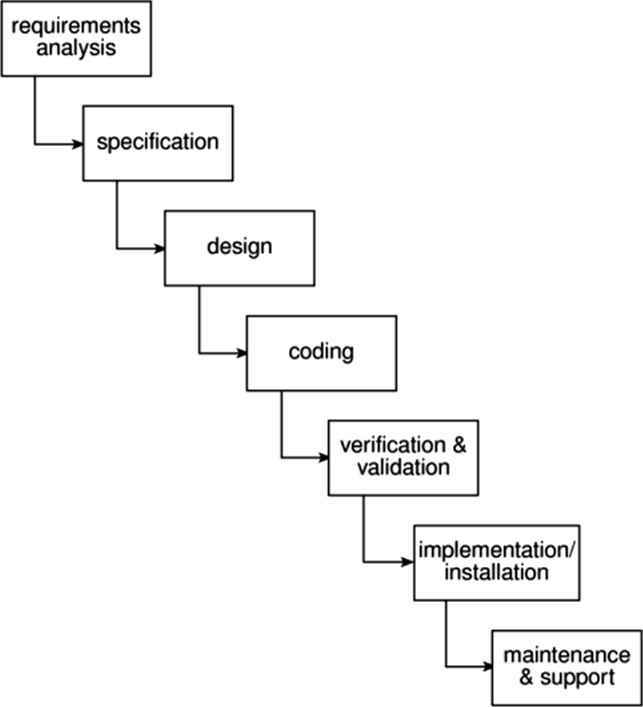 An initial work breakdown structure will be needed to determine the tasks to be completed. Then, tasks will have to be assigned to project personnel. Determine, based on the size of the project and the personnel available, whether single individuals can be assigned individualized tasks (such as project controller) or if tasks must be grouped. Finally, try to anticipate where specific conflicts may arise over the course of the project and how you might handle them at that time. Archibald, r. d. Managing High Technology Programs and Projects. New York: Wiley, 1976. Organizations." lournal of Management Studies, Feb.
What alternative types of project organisation would suit the development of the power trim system? Is it ethical to employ participative management solely as a way to motivate employees? How might a project manager gain the ability to deal with human and political issues?